We can deliver flowers, Champagne of chocolate to Pitmedden. What you see on this page is a selection of items for you to order. Remember you can order anything from our website for delivery in Pitmedden. 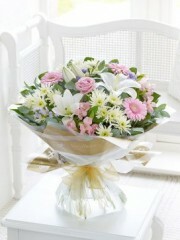 The florists should be able to offer Same Day Delivery to Pitmedden. 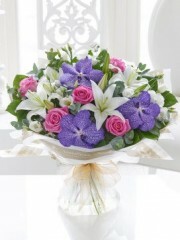 Order online now or phone one of the florists on 01358 484 089. We will be able to deliver to Pitmedden 6 days a week through out the year. Expert florists delivering beautiful flowers to Pitmedden and all over the North East of Scotland.